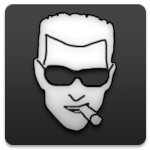 Mar 23 2018 02:59 PM Favourite Duke Nukem Forever Moments? Jul 20 2017 01:19 AM Shadow Warrior betas released! Jun 29 2017 09:17 AM What are you working on for Duke right now?